Editor's note: This story first appeared in the spring 2018 issue of the Concordian, the official magazine of Concordia University Wisconsin. Dr. Kenneth Harris, Jr. will be the first to admit that a career in law enforcement isn’t for everyone. In fact, Harris, who retired in May 2017 as lieutenant with the Milwaukee Police Department after 24 years on the force, resisted the profession for years, even though some of his most formative mentors growing up were law enforcement officers. Initially, the work never sparked his interest, says Harris. Instead, he started out with a career in communications, working as an employee or freelancer for prominent media stations, including WGN Radio Chicago, Black Entertainment Television (BET), and Fox Sports, for more than 20 years before he felt the Lord’s call to step into law enforcement. 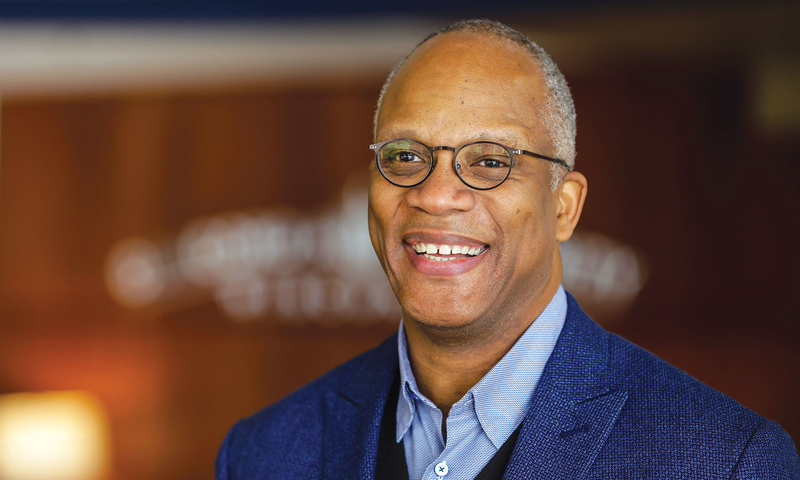 Decades later, he’s now chair of the justice and public policy department at Concordia, bringing a breadth of real-world experience to the classroom. Harris will tell his students stories about the grit that’s required to make it in the law enforcement field—how he once responded to three infant deaths in one night, and how he’s witnessed in person or seen the aftermath of countless other violent and cruel acts. Harris has “sucked up” plenty in his life, but what makes him ready and willing to continue to face the daily battles is the understanding of the ripple effect one person can have on the lives of others. He learned this mindset at a young age from the law enforcement officers who took him under their wing through the Boy Scouts of America, and Harris, in turn, has sought to pay their generosity forward. Today, Harris is widely known and respected in Milwaukee-area circles for his volunteerism, which includes mentoring young men and serving in leadership capacities with the Three Harbors Council—Boy Scouts of America. In October, Today’s TMJ4 honored him with the Community Hero award for his commitment to community service and for shaping young lives. 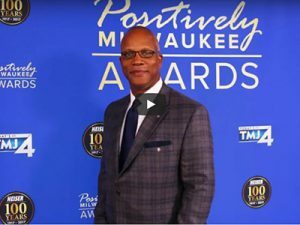 The award was part of the inaugural Positively Milwaukee Awards, which honors everyday people who are making a difference in the Greater Milwaukee area. Additionally, last November, Harris was chosen as a finalist for the interim Milwaukee Sheriff position—an acknowledgment many might consider a pinnacle career moment. No matter the job position, Harris continually finds ways to shape the future leaders of the Church and world. Interested in enrolling in Concordia’s justice and public policy program? Visit cuw.edu/jpp for more information. The spring Concordian hit mailboxes the week of April 23. View a PDF version of the magazine here. If you are not on our mailing list, but are interested in receiving a free copy, call 734-995-7317.